Only a few Indigenous Nationalities are in Medias of Nepal. The research has proven that the issues of indigenous nationalities get almost no space in Nepali Media. However, the number of media persons from the indigenous nationalities community is gradually increasing at present. In the history of television screen in Nepal, Gajurdhan Rai, Pushpahari Kyampa Rai, Danda Gurund including some other old journalists are the faces from indigenous community. But, there were hardly any new faces from the community to appear on television screen for a long time. Meanwhile, there are some promising indigenous faces getting opportunity to appear on television screen. Milan Kumar Yonghang Limbu aka Milan Limbu is one of them. Limbu, who was born in Ibhang village development committee of Ilam district of eastern Nepal, started his career in journalism in 2005 from Jhapa district. 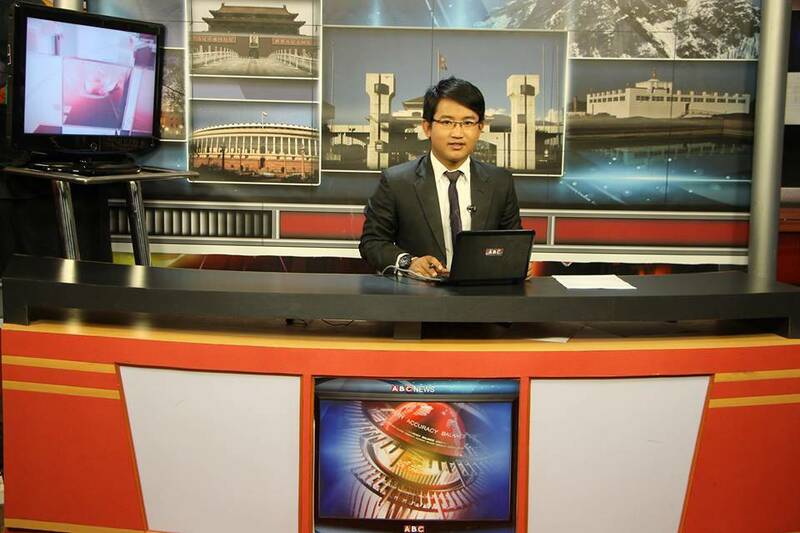 Starting his career in print media, Limbu has been working as a television journalist for the last 7 years. He began his journey of television journalism since 2008 working for Makalu Television stationed at Itahari of Sunsary district in eastern Nepal. He worked as a program presenter and news anchor for about two years at Makalu television. After gaining some screen experiences from Makalu television, he moved to Kathmandu, the capital city of Nepal. In fact, there is always a tussle between the Medias in Kathmandu and outside on maturity and efficiency. The Medias in the capital city undermine the existence and performance of other media houses outside Kathmandu. This conflict pushed Milan Limbu to Kathmandu, the centre of everything including Medias. Early days in Kathmandu, Limbu had to struggle a lot in journalism. He gave a new start to his journalism career from zero level in Kathmandu and his hard work paid off. He joined ABC television as program presenter and news anchor. He was established as a hardworking journalist in Kathmandu in a short period of time. His innovative style on television reporting helped Limbu establish as a television journalist in investigative journalism on social issues. Limbu says "The issues directly related to public interest drive him for reporting." The program "Inclusive Issue" (samabeshi sawal) also played a significant role in establishing Limbu in television journalism in a short period of time. In the context, the issues of indigenous nationalities were not getting space in national medias, he started the program "Inclusive Issue" six years ago, was an innovative effort and initiation in the history of television broadcasting in Nepal. The program holds exclusive deliberations on the issues of indigenous nationalities and it is being broadcast till the date. In fact, this program received overwhelming attention as only one television program for 40% population of indigenous nationalities on their issues in Nepal, which established Limbu as a popular TV journalist among the public of indigenous nationalities. His different style in TV reporting had drawn attention of all TV viewers, the very style made him popular among the intellectual viewers from the indigenous community, as well. Through the weekly program "Inclusive Issue", he has so far interviewed more than 300 activists actively working for the voice and rights of the indigenous nationalities. There are a very few television presenter or news anchor of Mongolian race working on television screens of Nepal. In the crown of such presenters and news anchors from Khas-Arya race, Milan Limbu, a presenter and news anchor with flat nose and chinky eyes is rare to be seen on television screen in Nepal. Hence, Limbu has become a new look and for many a face of curiosity on television screen. Unlike the general understanding that the people from indigenous community cannot pronounce Nepali accurately, Limbu masters the skill and levels up himself to the fellow presenters and news anchors from Khas-Arya community. In addition, the viewers love Limbu's commanding voice quality in news Anchoring. In the context that the national Medias have not given required priority to the serious issues of indigenous nationalities, Limbu claims the issues of indigenous nationalities have been institutionally established in Nepali media through the program "Inclusive Issue". "But, this isn't enough," he asserts. He further argues, "All media in Nepal ought to provide space for the serious issues of indigenous nationalities." 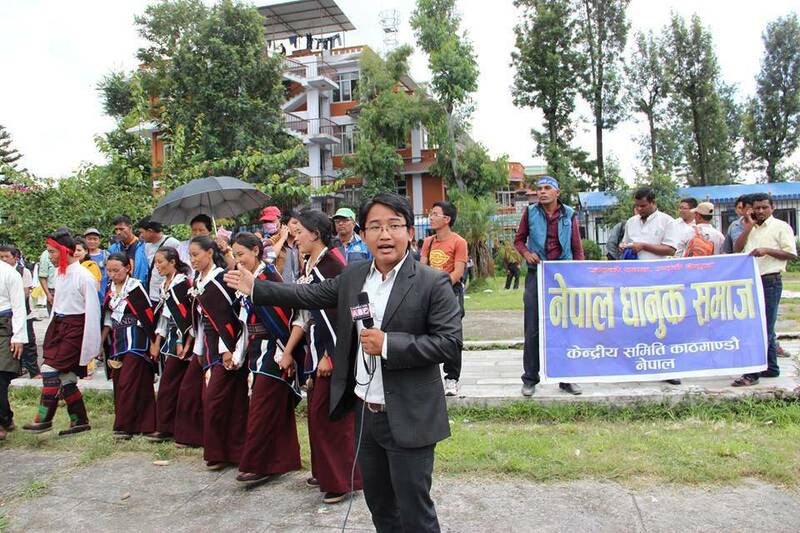 Milan Limbu, who is currently working in the capacity of sub-editor, news anchor and program presenter for ABC television, expresses discontent over the policy of national media that has not been inclusive till the date.